← Pope Francis wants to nail ‘all Jews to the Cross’! On Sunday, Gen. (R) Pervez Musharraf, 71, in a speech at his All Pakistan Muslim League (APML) in Karachi said Indian army will never forget the military humiliation it received at Kargil at the hands of Pakistan army under his command. “Pakistan army got Indian army by throat,” Musharraf told his party members. Gen. Musharraf, who was promoted over several senior Generals by then prime minister Nawaz Sharif, turned against his patron when under Washington pressure, Sharif ordered Musharraf to withdraw from Kargil in 1999 – Turning military success into a political defeat, Musharraf had claimed in the past. In 2001, five top Generals carried a military coup against Nawaz Sharif, while Gen. Musharraf was on way to Karachi from New Delhi. I’m no admirer of Pervez Musharraf as he proved to be an American Zionist stooge who ruled the country with iron fist from 2001 until he was forced to resign as result of mass protests in 2008. He allowed US forces to use Pakistan’s air and ground to invade and destroy a neighboring Muslim country, Afghanistan. His regime tried its best to convince Pakistani public to recognize Israel like India. His exit from power was mourned by Canadian Jewish Journal by call it a great loss to Jewish people. Lt. Col. (R) Rashid Zia Cheema, who like myself, never liked Gen. Musharraf’s knee-jerk pro-US policies, narrates some facts about 1999 Kargil conflict. The Kargil Conflict was an armed conflict between India and Pakistan that took place between May and July 1999 in the Kargil district of Indian occupied Kashmir and elsewhere along the Line of Control (LOC). The conflict is also referred to as Operation Koh-e-Paima (Indian army called it Operation Vijay). The cause of the conflict was the infiltration of Pakistani soldiers and Kashmiri militants into positions on the Indian side of the LOC . Pakistani troops did not cross the International Borders at any stage of the conflict. Pakistan’s objective was to drive Indians out of Siachin and highlight Kashmir Issue in the eyes of the world. In the spring of 1999, on the orders of Pakistan Army Chief, General Pervez Musharraf, Pakistani soldiers climbed up the snow-bound passes and occupied some high positions, including Tiger Hill and Point 5353, in the vacant area and infiltrated almost 10 km into the Indian territory ( still short of International Border). These positions overlooked Indian National Highway (NH 1 D). Pakistan was in a strong position to cut off supplies and winter dumping and thus force Indians to withdraw from the Siachin Glacier. The Indians were caught off guard. They tried to evict the positions but failed miserably. They used a large number of Artillery guns and also used their air force against Pakistani positions. Two Indian aircraft were also shot down by Stinger Missiles. Indian aircraft violated Pakistani air space but they never admitted it openly. One of their pilots, Flight Lieutenant Nachiketa, who ejected after his aircraft was shot down, was captured from the Pakistani territory. Indians ultimately complained to the International community and finally on pressure by the USA, Pakistani Prime Minister, Nawaz Sharif, ordered the withdrawal of troops. Most of the casualties of Operation Koh-e-Paima were inflicted during the withdrawal. 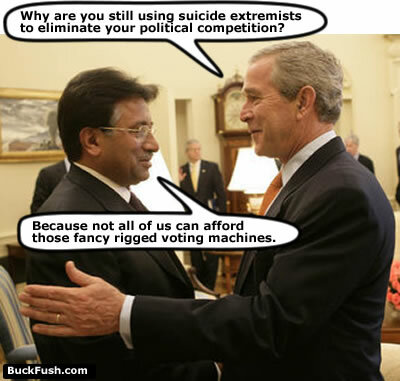 In General Musharraf’s words, A military victory was converted into a political defeat. In 2013, Gen. VK Singh, former Indian C-in-C (2010-2012) praised praised Gen. Musharraf’s courage and military insight during the Kargil conflict. The Point 5353 is still under Pakistan army control to this day, in spite Indian army’s several attempts to recover it. In order to cover its military defeat from public – Maj. Gen. Mohinder Puri responsible for the defense of Point 5353 received gallantry award. Kishan Pal, despite his well documented inability to comprehend the scale of the Pakistan intrusion, was promoted to the post of Quarter Master General. Northern Army Commander H.M. Khanna, was kept at his post.